Microsoft will host its Office 365 and Dynamics CRM for Australian business customers in the new Australian Azure data centres in Melbourne and Sydney which it officially opened in late October 2014. 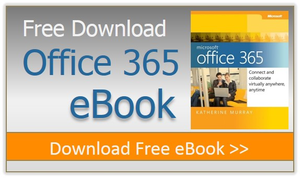 It will start to host office 365 for Australian business around March 2015. How will that process happen, and what practical difference will it make to customers? New customers who sign up for either service with an Australian billing address will automatically be hosted in Australia. Existing Office 365 company customers using a local address is likely to be given advance warning of the migration that is planned, and can have the choice of deferring in the event the chosen date falls at an inconvenient point. Dynamics CRM customers (a considerably smaller group) will need to opt-in for migration; it will not happen automatically. That three-month window between statement and occurring reflects a shift away from the notion that cloud-established business apps can be automatically upgraded — the the truth is that even for relatively recognizable applications, enterprises prefer a notice period. Dynamics CRM includes a far slower update cycle and continues to encourage on-premises releases, so it is unsurprising that it is taking a less aggressive approach to migrate users. These will be the present GST-inclusive Australian dollar costs per year per user for the company skews. Among the most frequently heard arguments for local data centres is enhanced latency — it is possible to access programs and store data faster. While those gains will accrue to some degree and Dynamics CRM users, especially if they’re saving data to OneDrive, it isn’t necessarily a major advantage. Tact that those applications are installed to run on local machines — you run Word as a local executable, much less a browser-based extension — means the latency issue won’t be as conspicuous. Probably the most powerful argument for the approach is it provides copy that is redundant that is geographically diverse. If an issue in the Sydney data centre, you’ll be able to reverse automatically to Melbourne or. Microsoft says the Australian rollout is the second time it has taken that approach with Dynamics CRM and Office 365, and that it’s a direct response to customer demand. And hey, if Microsoft wants to take the costs of running centres in two states, why pay for all that infrastructure yourself? One other interesting factoid that emerged during the statement briefing: business and consumer programs won’t be hosted by Microsoft on the same rack within its data centres. “It is against all our philosophies.” Rack-level separation is the minimum requirement, and in several events the deployments have been in different buildings, Case said.